Mega Bloks Skybright Airport $13.00 Each. ﻿Skybright Airport by Mega Bloks. Your little one can use the blocks to create a busy airport. Get r..
Monster High Dolls $7.89 Each. Monster High Dolls﻿Franki Stein - 2 DollsAri Hauntington - 1 DollDraculaura - 1 DollMade by Mattel f..
Monster High Dolls $9.59 Each. Welcome to Monster High Dolls Collect them all. Ages 6+﻿Clawdeen Wolf - 2 DollsLagoona Blue - 1 Doll..
Monster High Dolls Great Scarrier Reef ﻿Frankie Stein - 2 DollsToralei - 1 DollLagoona Blue - 1..
Draculaura Party Hair Doll1 Doll30 Accessories1 Doll Stand1 Style sheet9" inches of hair to style yo..
Monster High Frankie $9.99 Each. Create Voltageous UV Light Effects in Frankie Stein Doll's Hair. Spark Imagination with Hairsty..
RC Car Lamborghini $60.00 Each. Lamborghini Sport Racing Remote Control Car This original replica features: 8.1 Sound for ..
RC H2 Hummer $60.00 Each. 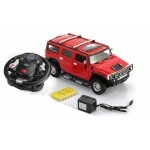 Remote Control H2 Hummer Original Licensed Replica This wholesale toy car features: .. This wholesale robot dancing dog will light up, play sounds while wagging his head, legs and tail. 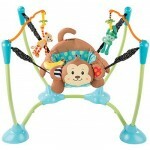 B..
Sassy Rock & Hop Activity Center $45.00 Each. 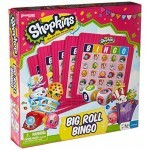 Shopkins Big Roll Bingo is a great way to play the one of the world’s most popular games, with overs.. Ballistic Soccer BallOfficial size and weight, great for indoor or outdoors. Kick hard, defy gravity..
SOLD OUT! 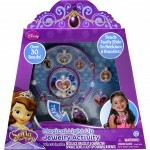 Disney Sofia The First Jewelry Set $7.00 Each. Here is a crafty kit that is sure to please your little princess at home. She can design h..
Star Wars Messenger Bag $6.50 Each. Design your own Star Wars messenger bag. Comes with permanent markers and stickers to make it your o..
Super 3D Puzzles $3.75 Each. Assorted 3D Puzzles from Cardinal Industries.Finding Dory 24 pcs. 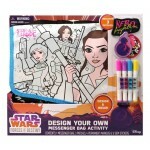 Disney Princess 48 pcs.Paw Pa..
Assorted 3D Puzzles from Cardinal Industries.Avengers 100 pcs. Ultimate Spider-man 150 pcs.Star..
Super 3D Puzzles Avatar $3.75 Each. ﻿From the world of Avatar. 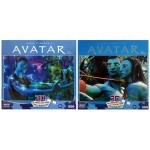 A high graphics movie from 2009 directed by james cameron. Puzzle sc..
TY Beanie Boos Giraffe $4.75 Each. ﻿I like to lick peanut butter of my big spoon, but my mouth gets really sticky so i can't sing for y..
TY Beanie Boos Gorilla $4.75 Each. ﻿I get exited when my friends come to visit, we talk for hours while we sip on tea.Made by TY Beanie..
Wood Checkers & Tic Tac Toe $5.50 Each. Two Sided Wood Game Board. ﻿﻿It has checkers on one side and tic tac toe on other. For Age..